Yukon Charlie's Trail Series Poles are made of sturdy lightweight aluminum. The three-piece poles are easily adjusted to accommodate different sized people and changing conditions. Great for hiking and snowshoeing with included snow baskets. I have been using Yukon Charlie's Trail Series Poles on long, strenuous snowshoeing hikes with mixed success. 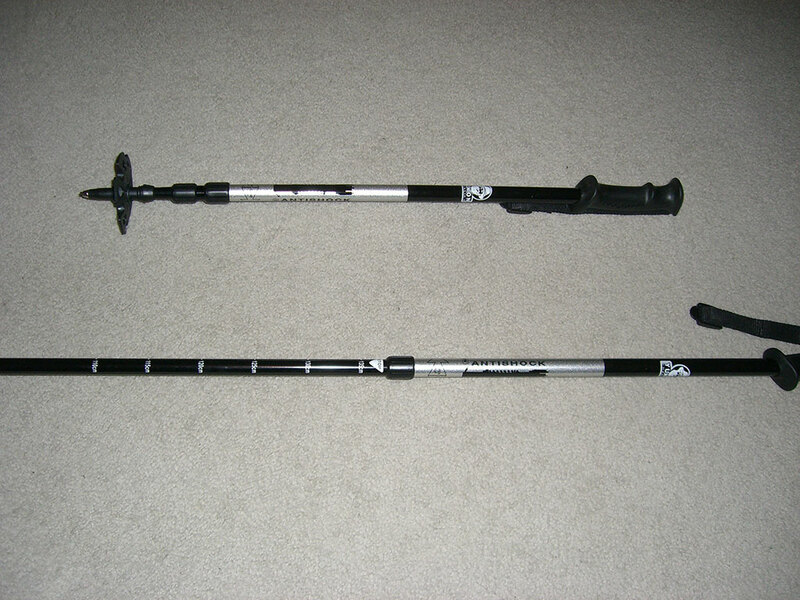 Like many trekking poles, they are a three-piece adjustable design which makes traveling with them very convenient. Simply telescope the sections to the desired length and twist to lock and unlock. They use a plastic compression nut to lock the different sections in place when they are twisted tight. This common design is simple, but can lead to collapsed poles due to the natural twisting motion of hiking with poles. 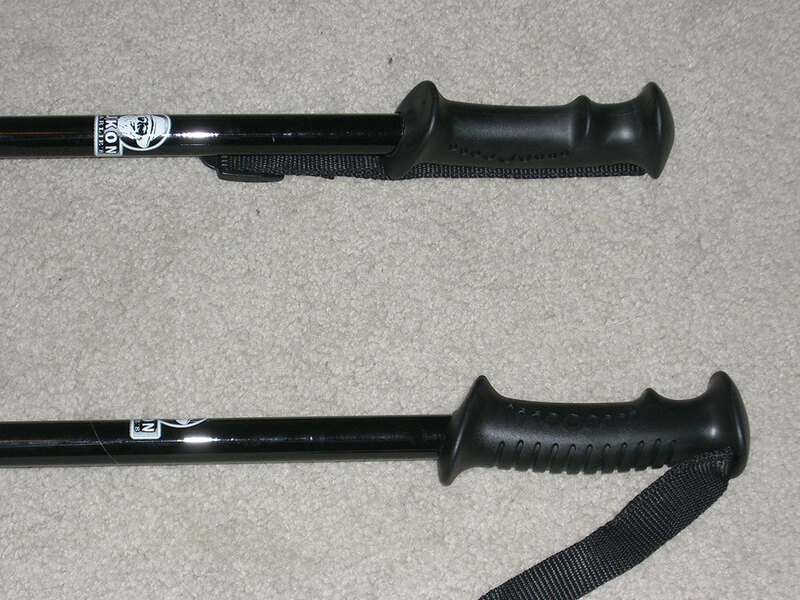 Both my wife and I have experienced collapsed poles when we use the Yukon Charlie's Trail Series Poles. Fortunately it is just a matter of re-extending the collapsed section and twisting tight again. Unfortunately this design could possibly lead to injuries if the poles collapse at the wrong time. Luckily we have not experienced this. As time has gone on we have had less and less instances of the poles collapsing. 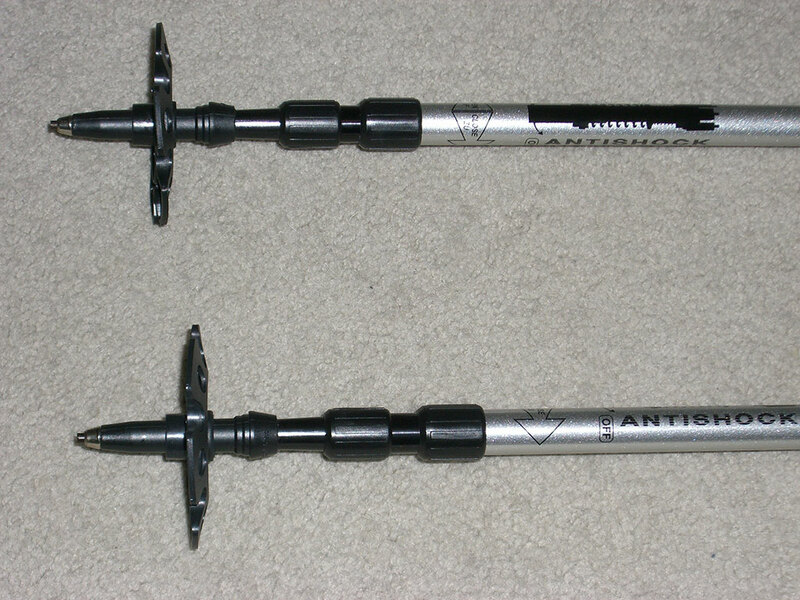 The trekking poles work well both on snow and bare ground. In snow, the included snow baskets keep the poles from sinking too far. Unfortunately, with heavy use the snow baskets can break. We have had all four snow baskets break on our poles. Luckily Yukon Charlie's will send replacements after a quick email request. Their customer service is very prompt and courteous. We have also noticed the snow baskets tend to work their way off the poles. Since they are threaded on, they can unscrew naturally over time. Be sure to check them before and during snow adventures. On bare ground, the snow baskets are not necessary and the poles help with balance on steep hills. They also produce a better workout, getting your upper body into the mix. 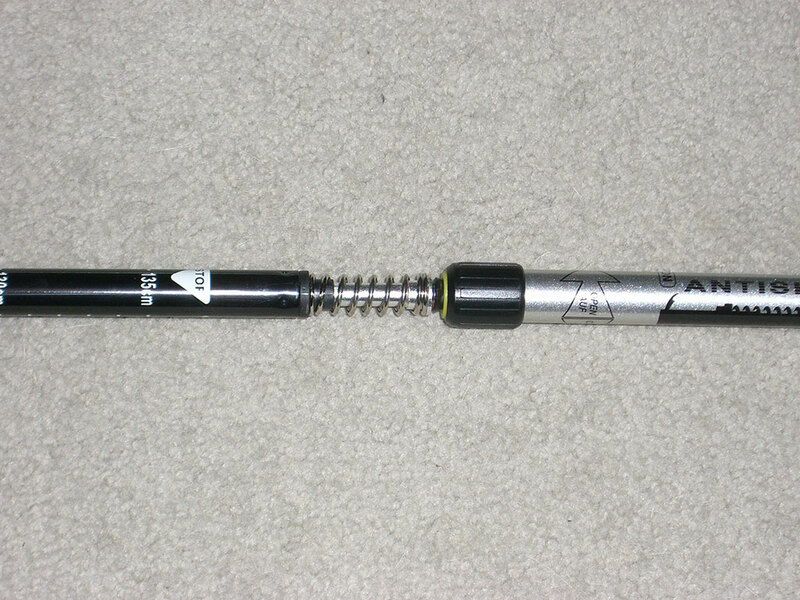 The spring-shock system is effective at dampening the blow when traveling downhill. Uphill it can work against you a little unless you twist the upper pole section about half a turn to deactivate the spring. See "Snowshoeing on Mount Hood near Timberline Lodge", "Snowshoeing Boy Scout Ridge on the Slopes of Mount Hood", and "Snowshoeing Barlow Butte Trail" adventures where these trekking poles were used. 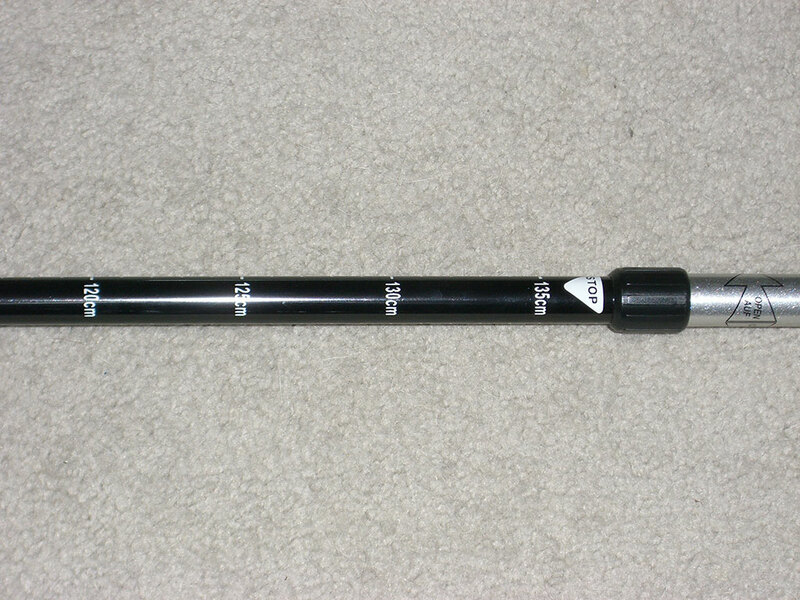 Yukon Charlie's Trail Series Poles are adequate for general hiking and snowshoeing. They are prone to slipping, which can create a dangerous situation when you are relying on them for balance. 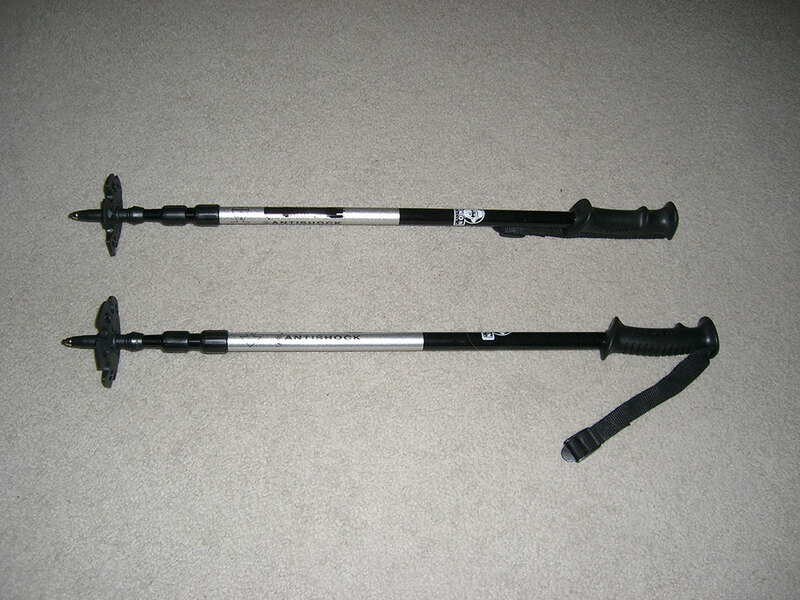 But for an inexpensive pair of trekking poles, they get the job done. My two grandchildren, ages 9 and 10, pulled the inner adjustable pole out while I was not watching them. Went to hike in the woods and the one pole of two will not tighten up . I recommend you contact the manufacturer, Yukon Charlie's and ask them for help.